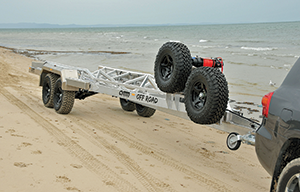 AMM has gone hard-core with the release of its Extra Heavy Duty range of off-road boat trailers. 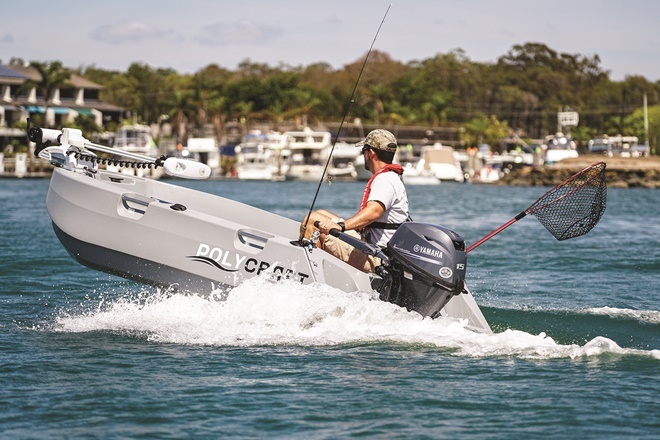 A LEADING plate alloy boat manufacturer has now gone hard-core in design and production of boat trailers for off-road use with the launch of its Extra Heavy Duty boat trailer series – a range even more robust than its existing Off Road models. 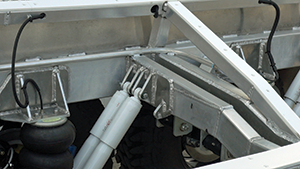 Fully independent trailing arm suspension mounted on 16mm-thick alloy location plates; two Gabriel heavy-duty shock absorbers per wheel; a four-bag Cruisemaster adjustable air suspension system; massive 285/75/16 tyres on alloy rims; a Hitchmaster DO45 all-terrain drop-on coupling that allows the trailer to articulate at radical angles; a 6mm-thick heavy-duty box section main frame; and massive ground clearance – the list of near-bulletproof features goes on and on. 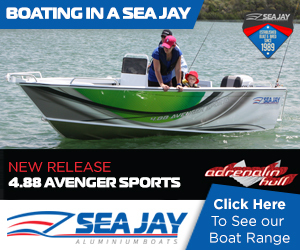 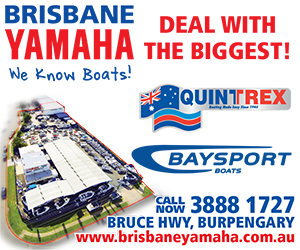 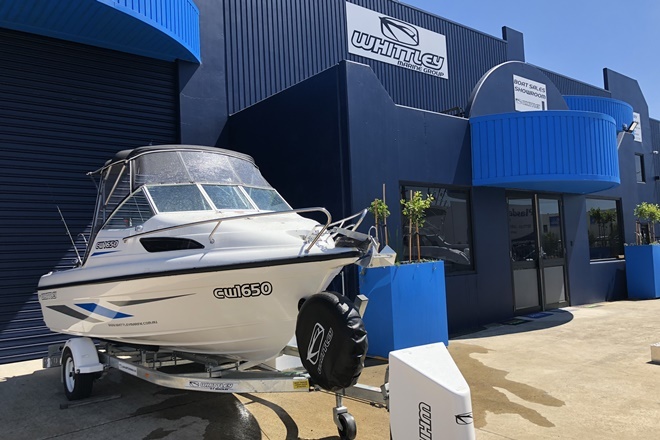 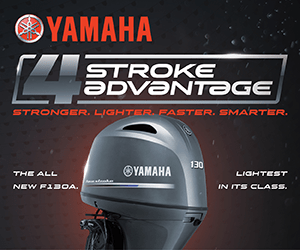 Australian Master Marine created its new design in response to requests from customers who are pushing further and further into remote locations to access almost unheard-of fishing destinations. 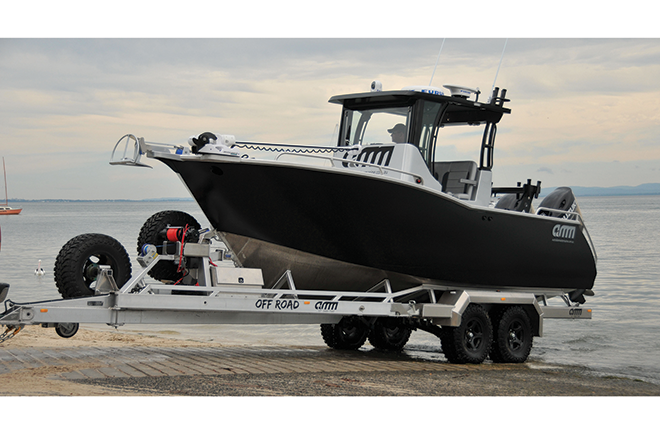 The first trailer completed to the new Extra Heavy Duty Off Road design specifications is for a 7m stealth black AMM Centre Console kitted to the hilt. 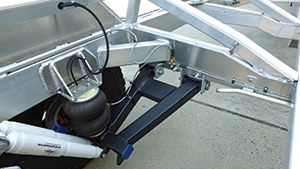 The trailer even includes an on-board air compressor for inflating tyres and the air bag suspension; a fully automated on-board water supply system that automatically flushes down the trailer’s vital components with fresh water after launching and retrieving; two spare wheels including one with its own stub axle and bearings so it can become a massive front dolly wheel for extricating the trailer from near-impossible situations; a swing-aside drawbar extension that adds 3m of extra space behind the vehicle’s tow bar; electric and manual winch systems; and an automatic launch and retrieve system. 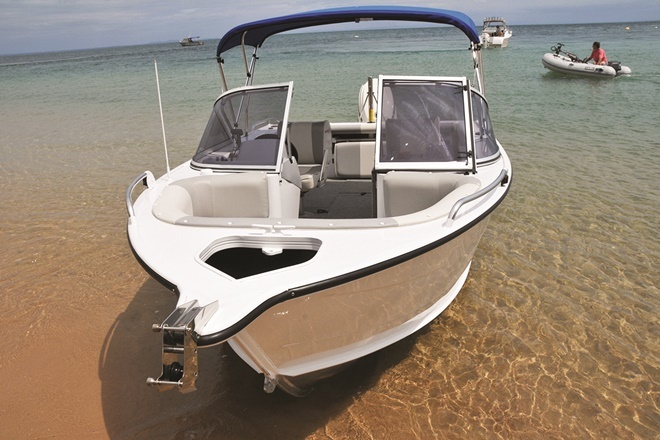 And in typical AMM precision manufacturing form, every upright supporting the hull has been individually measured, cut and welded into place. 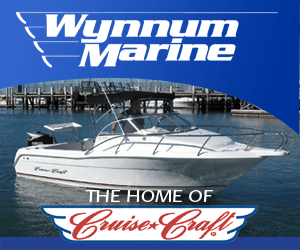 AMM director Mr Barton Thomas said the struts are custom made for every boat to reduce the likelihood of damage to the hull when travelling in extreme situations. 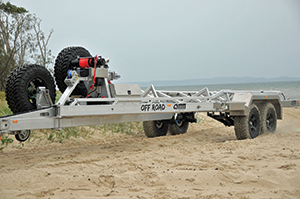 “The Extra Heavy Duty is like an off-road trailer on steroids – it boasts immense strength to tackle the harshest of conditions,” he said.